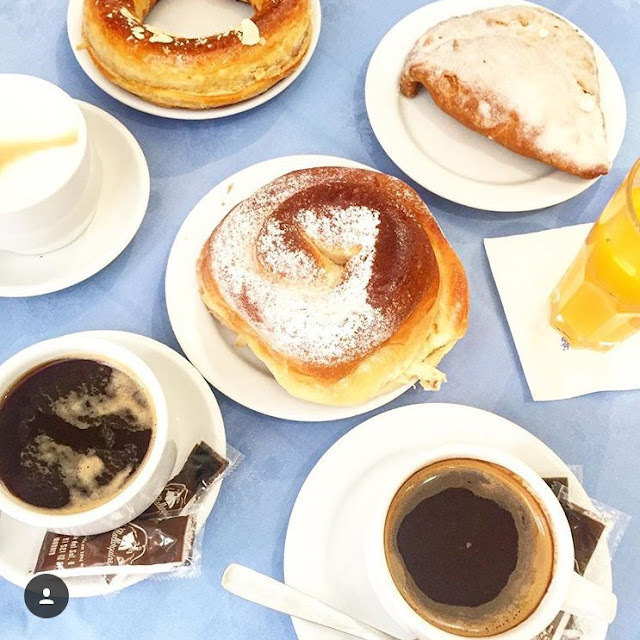 over the past months I have been traveling quite a lot and, as a breakfast lover, I always made sure to try the local treats, while keeping a balanced diet. 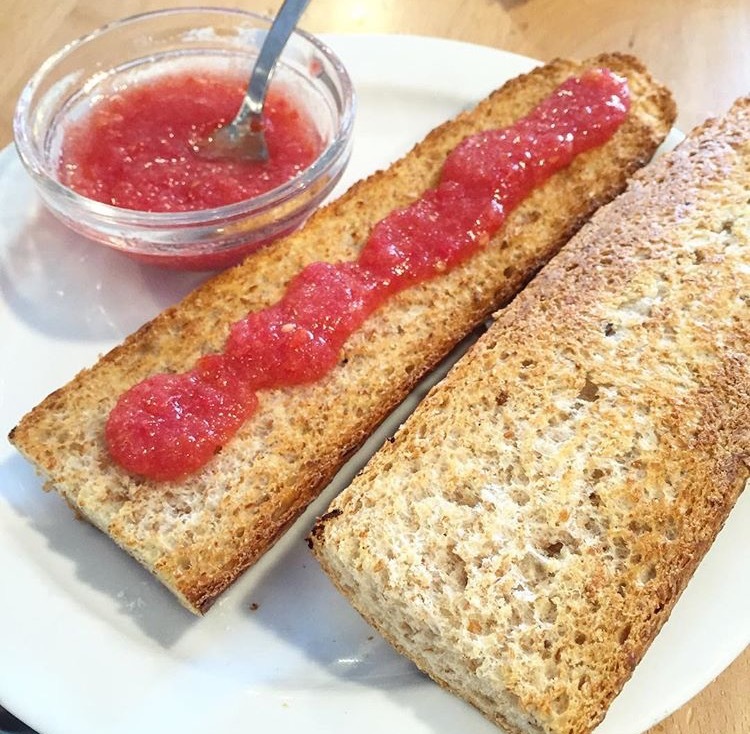 Sometimes I indulged in some local pastry at breakfast and then had lean clean and green meals the rest of the day. Other times I made sure my meal 1 was totally compliant with my nutrition plan, but then enjoyed a nice traditional dinner, or a piece of cake in the afternoon, or alternatively a glass of wine or a cold beer on the beach. For those of you who haven’t read it already, here you find my latest post on how to stay healthy while travelling HERE ! Today I am sharing with you some of the tasty breakfasts I had over the last months, both at home and while traveling in cool places in Europe! If you are a breakfast lover like me, go check my other posts of The Breakfast Roundup Series HERE, HERE, and HERE. I completely fell in love with this city and with FIKA, the traditional coffee and cake break the Swedish do every single day! I have learned that in some public companies FIKA is mandatory as a way to foster networking and gathering among employees. In Sweden I had a lot of treats, in the morning as well as in the afternoon and I am planning a specific post about this trip and what I enjoyed the most, but in the meantime I am sharing with you a little preview of it! Sunday's brunch at our friends house, where we had so much tasty food, including local cheese, fish eggs spread (I love it), toasts with tomatoes, onions, salmon and boiled eggs, and lots of herrings... Everything styled in the most wonderful way, with accessories from the super cool Swedish design store Svenskt Tenn. I have a piece of my heart in this border town by the sea, in the north eastern part of the Italian peninsula. Not only my family roots are from this lovely little town, but my boyfriend is a Trieste guy, aka MULO TRIESTINO in the local dialect! Caffè degli Specchi is one of the most famous bars to have a coffee (which in Trieste has the weirdest names... but I will talk about this in another post! ), and to have breakfast in one of Italy's most beautiful and largest squares: Piazza Unità D'Italia. I had a large breakfast tray including fresh fruit, a locally made donut and a cappuccino, while chatting with my cousin, who still lives in this amazing city. Another time, I just enjoyed an espresso, which is served here, with a chocolate shot, hot in winter or chilled during the summer months. On the second day I could not miss the traditional tostadas con aceite y tomate (with extra virgin olive oil and tomato sauce). This time I opted for wholegrain bread! I hope you enjoyed this breakfast trip around Europe with me today!! All pictures and comments in this post are mine - please link back to this blog in case you want to share them on your blog/Instagram/website. I just saw your Instagram update about getting back to blogging. I love getting a glimpse at someone's life on the other side of the world. I've never really traveled so I'm living vicariously through your travels. :) It's also interesting to see what typical breakfasts look like over there. In some ways, a pastry or cups of coffee aren't too different from what many in the U.S. like to eat, too! We had a wonderful espresso and cappuccino at Caffè degli Specchi in March. Trieste is indeed a beautiful town. Really?! I love Trieste... and I am so lucky to get to visit it so often!